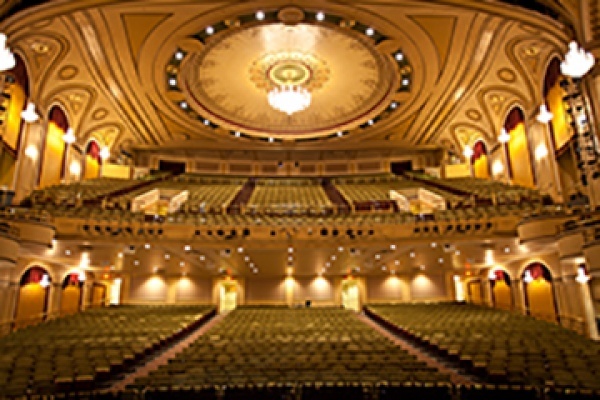 The Hanover Theatre for the Performing Arts in Worcester, Massachusetts was originally built in 1904 as the Franklin Square Theatre. The theater first hosted burlesque shows, Broadway touring shows, and headline acts. By 1912, the venue transitioned to showing silent films when vaudeville magnate Sylvester Poli purchased the theatre from the estate of Pauline L. Taylor. 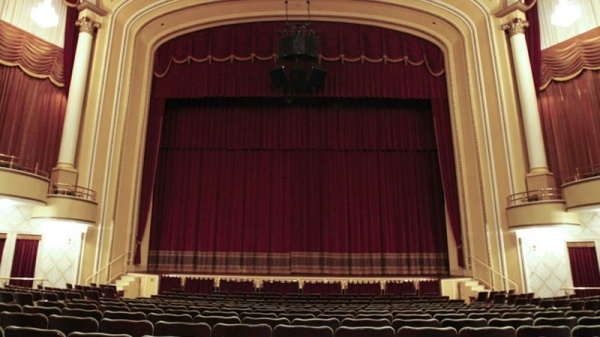 After extensive fundraising efforts and community support, the theatre reopened in 2008 as the Hanover Theatre for the Performing Arts. Today, the theatre has a 2,300 seating capacity and hosts nationally prominent entertainers, Broadway national touring companies, family touring companies, as well as provides a local outlet for community based artists and organizations. Head East on I-90/Mass Pike. Take Exit 10 at Auburn to I-290 East. Take I-290 East to Exit 16 for Central Street toward Worcester/Downtown. Merge onto Mulberry Street. Make a left on East Central Street. Make a left at Main Street. Follow Main Street through 6 sets of lights. The Hanover Theatre and Federal Square will be on the left. The primary parking garage, the Federal Parking Garage, is located on the right, directly across from the theatre at 570 Main Street. Park and walk across the street to the theatre. Head West on I-90/Mass Pike. Take Exit 10A to Rte 146 North to I-290 East. Take I-290 East to Exit 16 for Central Street toward Worcester/Downtown. Merge onto Mulberry Street. Make a left on East Central Street. Make a left at Main Street. Follow Main Street through 6 sets of lights. The Hanover Theatre and Federal Square will be on the left. The primary parking garage, the Federal Parking Garage, is located on the right, directly across from the theatre at 570 Main Street. Park and walk across the street to the theatre. Take I-95 North to I-90/Mass Pike. Head west to Exit 10A. Take Route 146 North to I-290 East. Take I-290 East to Exit 16 for Central Street toward Worcester/Downtown. Merge onto Mulberry Street. Make a left on East Central Street. Make a left at Main Street. Follow Main Street through 6 sets of lights. The Hanover Theatre and Federal Square will be on the left. The primary parking garage, the Federal Parking Garage, is located on the right, directly across from the theatre at 570 Main Street. Park and walk across the street to the theatre. Travel South to I-495. Take I-495 South to I-290 West. At Exit 16 turn right onto Central Street. Turn left onto Main Street. Follow Main Street through 6 sets of lights. The Hanover Theatre and Federal Square will be on the left. The primary parking garage, the Federal Parking Garage, is located on the right, directly across from the theatre at 570 Main Street. Park and walk across the street to the theatre. As a courtesy to our patrons, all lots are attended and secured on performance nights. Follow directions above for all major routes. Pass the Federal Garage on the right. At the first set of lights, take a left onto Myrtle Street. Take the first left onto Southbridge Street. The theatre is on the right.